No other material you can turn your ideas as fast, simple, flexible and in the end as creative into reality as with clay (industry plasticine). A 3D computer model may be fast, but at the end of the day nothing is as significant and confirms your ideas as concrete as a clay model. Kolb offers the most popular clay types, which are used in design studios all over the world. We have the right clay for your task! To bring our InDeClay to the optimum processing temperature, we recommend our Kolb ClayOvens (UFPlus). Our clay ovens impress with highest quality and simple operation. For visual control of your model, our Kolb HighlightWall is available, with its help you can detect any existing unevenness of the InDeClay model surface. To apply InDeClay and to thoroughly bond old and new material, our ClayHeater is your optimal equipment. 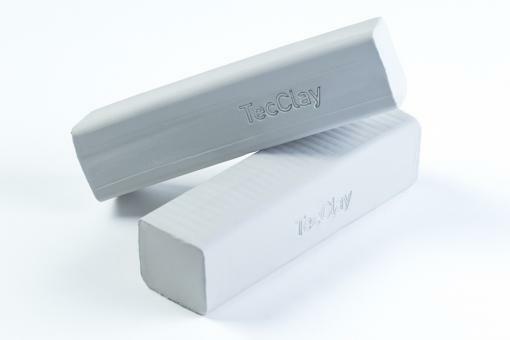 The Clayheater is mobile and flexibly adjustable and heats the InDeClay uniformly without overheating with its infrared rays.